History Undressed: Medieval Cookery and a Special Guest! Medieval Cookery and a Special Guest! Today’s post is a little bit different. I’ve paired up with a writing friend of mine, Kris Kennedy to bring you some gripping, appetizing and fun facts about medieval cookery! If you do try any of these recipes, please let us know how they turn out. Let us take you back to the time of lords and ladies, peasants and servants. Where meals were cooked over an open flame and fire while cooking was an everyday danger. (Hmm…with some cooks today, fire still is a danger!) 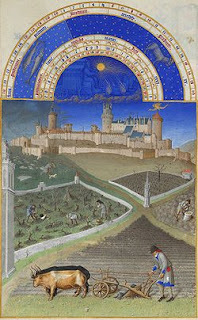 There are two perspectives we’ll journey through today, that of a noble feast/dinner and the meager meal of a peasant. 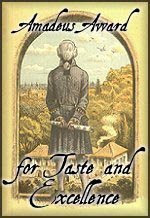 Those of the poorer social classes, had quite meager foods, and with hardly any spice the foods were quite bland. Some of you may think of dinner as your evening meal, but in medieval times (and still today throughout many countries in Europe) dinner, the heavier fare, was served mid-day, and your evening meal was a small repast called supper. The mid-day meal was a big to do, with everyone dining together, and for nobles a grand affair. Having your meal served alone was often an affront to your company. This big fare of consumption was often the highlight of the day. Today is a slightly more extravagant meal, because several nobles have come to pay a visit. Nobles will eat off of silver dishes while everyone else will make do with pewter, and even lower, the servants may eat from hard bread trenchers, which is typical of most when the meal is not so lively. The tables are covered in white cloth, the table on the dais has a cloth of white silk. Candlesticks line the top of the tables, and roped flowers adorn the skirts. Fresh rushes have been placed on the floor, which has been swept celan of debris. Servants are coming around with bowls of water and linen cloths so that the people may wash their hands. Also good to note, forks were not widely used in England until 1611. They were used in Italy starting in the 11th century, but those in England considered it an effeminate Italian tradition. In France, they began using forks in the 14th century. Most forks were only 2 tined, with 4 tines coming later. What did they use to eat? Wooden spoons, knives, bread and of course their fingers. After tasting small bites of each delicious dish, deserts are presented to the group, bread puddings, fruit tarts and pies, seed cakes, to die for pastries, elderflower cheesecake, and pears seeped in wine sauce. All of these tantalizing creations were slaved over starting before dawn, by Cook and his helpers, in the kitchen a separate building from the main castle. The cook used spit boys to turn the meat on spits over an open fire. There was usually several others cutting vegetables, preparing the meat, and scullions doing dishes and other cleaning. Stews, sauces and soups were cooked in large iron or copper pots in the hearth. Bread and pies were usually baked in an oven or bakehouse, or when an oven wasn’t available the cook would use braziers or clay pots that went into the hearth for baking, but they didn’t turn out as well here. How did the ovens work? The ovens were made of brick, and a person would fill the over with peat or wood and burn it. Once the oven was hot enough, the embers would be removed, and the bread or pie placed on a flat hardwood peel that was then lifted and placed the food into the oven. This same tool would be used to take the food out later. As I am not a medieval chef, I found these recipes for your viewing and tasting pleasure, from The Boke of Gode Cookery, if you click on each link the website will give you a little background about each recipe. Take parsley, sage, green garlic, scallions, lettuce, leek, spinach, borage, mints, primroses, violets, "porrettes" (green onions, scallions, & young leeks), fennel, and garden cress, rue, rosemary, purslane; rinse and wash them clean. Peel them. (Remove stems, etc.) Tear them into small pieces with your hands, and mix them well with raw oil; lay on vinegar and salt, and serve. Parboil or sauté the mushrooms; drain. Add oil, cheese, and spices. Mix well. Place in pie shell, add lid if desired, and bake at 350° F for 35-40 minutes, or until pastry is a golden brown. While I prefer using grated parmesan or a combination of parmesan & cheddar cheese, feel free to use any variety of cheese or combination that suits you. Finer cheeses, such as brie, also work quite well, and brie itself is very appropriate for a recipe of French origin. Some other period cheeses include Farmers and Mozzarella. Soften yeast in warm water. Combine hot milk, sugar, salt, and oil. Cool to lukewarm. Stir in 1/4 of the flour; beat well. Add the softened yeast; mix. Add enough of the remaining flour to make a stiff dough. Knead till smooth. Shape dough in ball; place in a lightly greased bowl. Cover and let rise until doubled. Punch down. Let rise again until doubled. Cut in portions. Shape each in a smooth ball. Cover; let rest 10 minutes. Shape in round loaves. Place on greased pans. With a sharp knife, slash an "x" or a cross on top, and let rise until doubled. Bake at 400° F for 35 minutes or until done. Brush tops with butter. In a large bowl, combine meat, spices, suet or marrow, vinegar, & the fruit. Add enough broth to thoroughly wet the mixture - the final consistency should be runny. Line a 9-inch pie pan with Paest royall and fill with the meat mixture. Add a pastry lid or leave open-faced. Bake at 375º F until filling is bubbling and the pastry cooked, approx. 45 minutes to 1 hour. In a large bowl, combine flour and salt. Cut in butter with a pastry knife until mixture is crumbly & somewhat resembles coarse sand. Add egg yolks. Knead, adding the water a spoonful at a time if and as needed, until pastry forms a ball and leaves sides of bowl. Separate dough into 2 equal portions, cover with a towel or plastic wrap, and let rest for 10-15 minutes. Roll out one portion for pie shell, another for the lid. Place the chicken in a large pot; cover with water or fresh chicken broth. Bring to a boil, reduce to a simmer, and continue cooking until the meat is tender & falling from the bone; remove from the broth & allow to drain & cool. Pick the meat from the bones, discarding the fat & skin, and cut into large chunks. Place meat in a separate large pot. Strain the broth to discard all meat, fat, etc. ; add just enough broth to the chicken in the pot to just come to the top of the meat. Add the herbs & bring to a boil, then reduce heat; beat in the egg yolks, spices, and vinegar and simmer until thick. Serve as a main meat dish. Serves 6-8. Combine all ingredients except fish in a saucepan; bring to a boil. Reduce heat & simmer. Place fish in a shallow baking dish, then add enough of the beer mixture to immerse 2/3 of the fish. Cover baking dish, then place in a 400° F oven for approx. 15-20 minutes, or until fish becomes tender and flakes with a fork when pierced. Remove fish from baking dish & serve. Combine all ingredients and blend thoroughly. (A food processor or blender will do the job nicely.) Pour mixture into pie shell. Bake at 350° F for 45 minutes to an hour, or until filling has set and the crust is a golden brown. Let cool and serve. Boil the pears until they are tender but not too soft; drain well. In a separate pan heat together the wine, cinnamon, and sugar. Remove from heat, strain the mixture to remove the cinnamon (I recommend using a sieve or China cap lined with cheesecloth or paper towels), then return to the fire. When hot, add the dates, pears, salt, and food coloring. Bring to a boil, allow to cook together for several minutes, then remove from heat. Place pears and wine in a wooden dish and allow to cool slightly before serving. That ought to be an enjoyable feast for you! If you do try it out, please tell me what you think. Meanwhile if we travel through the bailey and the outer gates, across the fields to the little hovels that provide housing for the serfs and peasants who work the land, the meal is quite different. Unlike the lords and ladies who eat their meal in grand style during the day, most peasants eat what is sometimes referred to as a “ploughman’s” meal, meaning their mid-day meal is consumed in the fields, often consisting of one or several of the following: salted meat, bread, cheese, onions, apples or nuts. It should be noted that if the peasant had meat it wasn’t all that often. The meats they would eat were generally pork/bacon, deer, squirrel, rabbit, and the occasional sheep. Mother peasant’s shoulders stoop from years of labor as she stirs the concoction in the pot over the fire. One scrawny chicken runs around the only room in the little house, but she dare not kill it and pluck its feathers, because it will bring her some coin at the next market day so she might buy some grains. As her children and husband meander into the little space, the scents of dinner cooking are appealing to their starving bellies, but were Griffyn to walk through the door, he might rather wait to break his fast in the morning… What is the meal for the day? Pottage, a thick soup she’s made with vegetables and barley. Mother quietly serves her family’s meal, and breaks apart a stale loaf of brown bread for her children to soak up the soup’s juices with. There will be no meat today, but still she smiles secretly, because she has a surprise for her large hungry family. Earlier while gathering rushes, she found a berry bush, plentiful with ripe juicy fruit, and they will have a nice dessert tonight of fresh berries. I know I said I’m not a medieval chef, but I did make up these recipes *smile* perhaps I used to be a peasant. Mix the ingredients together and knead for eight – ten minutes. 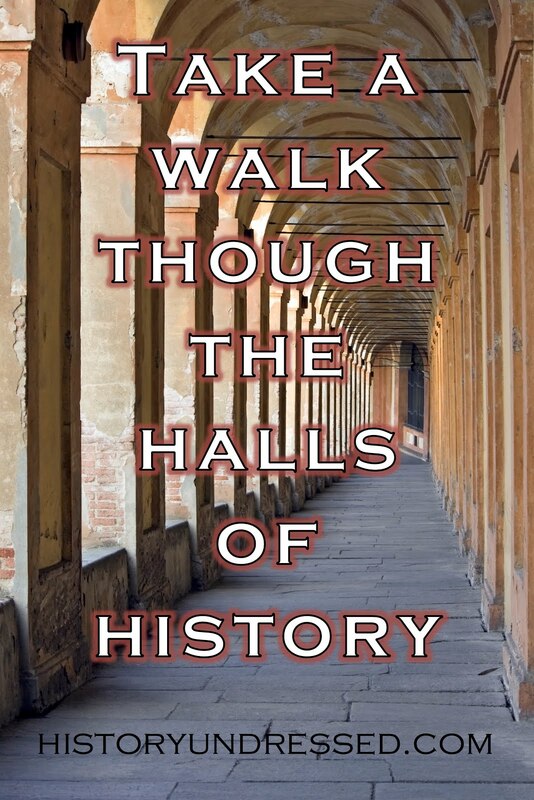 Just for you fabulous History Undressed readers, Kris has a very special treat for you! Something unheard of and completely exciting! Drum roll please… For your reading pleasure, a deleted scene from The Conqueror, which just so happens to have a lot to do with today’s blog topic! 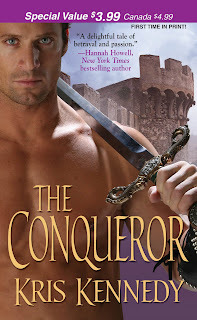 Look for Kris’s medieval romance, The Conqueror, coming to stores in May of 2009 from Kensington! I hope you enjoyed today’s special post. As always, if you have any comments, suggestions, questions etc… please feel free to share! Another fantastic blog. I always consider your blogs to be a treat as I learn so much. You have a great way of pulling readers in. Kris's work was a fun read. I know when we visited Stirling Castle in Scotland we spent a bit of time exploring the kitchen area and saw the food they were 'cooking' while we were there. Always interesting to see how our forefathers lived. Thank you! Kris, I checked out your site too, but need to go back and peruse. Eliza, I've decided that I need to start a binder with your blogs in it. You always have such a wealth of research information that I'm beginning to think you're a history professor specializing in the Middle Ages. Thank you Paisley! I'm glad you enjoyed the post and Kris's special treat. I would love to go to Stirling Castle, I bet that was amazing! When I was in Ireland we visited some castles that were similar to that, quite a lot of fun! I go to the Rennaissance festival every year, and the last time I was there I got to watch a woman cook the king his meal. Pretty awesome! Applause, ladies!! This is fabulous stuff. I'm SO looking forward to your release, Kris! Thanks for all the amazing info. lol Julie...I'm just a history nerd! I just finished reading a time travel where the hero went to the future, and became a history professor and author, because he was of course an expert of his own time period. Maybe I'll start saying that :) Have fun with the notebook! And thank you so much for your comments. Thank you Renee! I can't wait for her release either!!! She's an awesome writer and does a great job with incorporating history into the story. Three cheers for Kris! Hello, Eliza...*waving* to Kris. Thanks for sharing your knowledge of all things edible in a Medeival Great Hall. These recipes are fantastic and really show your knowledge of the subject matter. Be well in the New Year and, Kris, looking forward to your debut book!!! Isn't Eliza wonderful? I am so impressed with her, not just her knowledge, but her ability to simmer it down (pun intended) into something brief and highly entertaining for the reader. I have yet to make it to Stirling Castle. Must be amazing. I really enjoyed Trim, in Ireland, which is where part so Braveheart were filmed (or so they told us.) But in ways, I think my favs are the old ruins, on the side of the road. 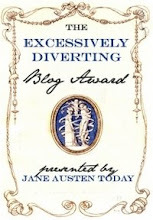 Thanks for checking out my site, and thanks, Eliza, for your wonderful blog! Thanks so much! I'm actually going to cook this week (I went on strike for most of the holidays), and I think I'm going to try out the Mushroom Pasty one. Mushrooms, butter, cheese, pastry crust . . . yum! I'm so pleased you want to check out the book when it comes out in May. You've completely made my night! Thank you Denisse!! I'm glad you enjoyed Kris's surprise!! Kris you have me blushing with all your comments! You are too sweet! And I am totally trying the Mushroom Pasty too, it looks so delicious! Awesome blog, as always, Eliza! I must try the mushroom pasty. Mmmm. I loved the excerpt, Kris! I enjoyed the blog, and I'm going to keep the link. Loved how you worked in the teaser for Kris. :) My sincere best to you both! Thank you Diana! I'm so glad that you enjoyed it! Ok - this Friday, Medieval dinner complete with pear & wine sauce dessert. My place, 7pm!